Services continued as scheduled Sunday after a suspect hit the Seattle church Molotov cocktails last week when nearly 250 people were inside. Leaders of a Seattle church hit with several Molotov cocktails last week say the violence will not deter their mission of spreading peace. Iglesia ni Cristo in Rainier Valley was damaged in the Thursday evening attack. 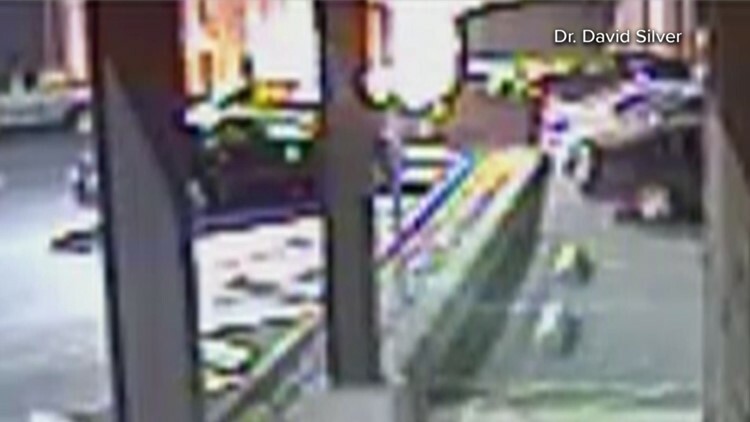 Security footage from a nearby dentist’s office shows several explosions as the devices hit the church, and pop with flames. “This door here, as you can see, has burn marks,” said district minister for the Pacific Northwest Barrington Thompson. A screengrab from surveillance footage of the church. Several similar scorches now mark the front of the building. The fire did spread inside though and was extinguished before fire crews arrived. The FBI is now assisting in the investigation and assessing whether the incident was a hate crime. Inglesia Ni Cristo began in the Philippines. Thompson said the church has many Filipino members and those of other nationalities. He said the church is also growing quickly in Africa and India. Barrington said about 250 people were inside at the time, up from the 50 initially reported by officials. No one was injured – including several members outside in the parking lot. “The perpetrator threw a couple of Molotov cocktails at them, but thank God they weren’t injured,” said Thompson. He added the church’s security system captured the entire attack, and that he was surprised by the suspect’s brazenness. He said the suspect did not cover his face. Still, he said services continued as scheduled Sunday, and that their mission continues. Seattle Police said Sunday they were not able to release a suspect description, and that no arrests have been made.